Now if you frequently re-install operating system (OS) then its not a problem. But if you don't, then you need to uninstall antivirus and re-install it. 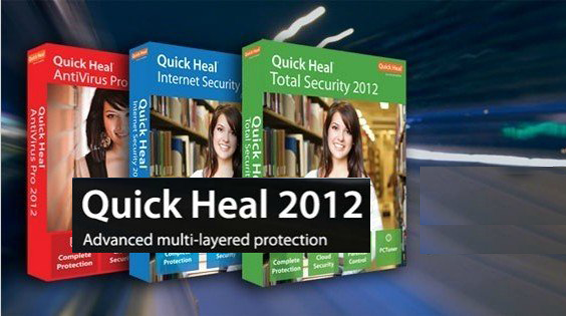 Now, if you have ever tried to re-install antivirus of Quick Heal (Reason of using quick heal, I like this Antivirus). You must have noticed that even you uninstall it and try to re-install it. 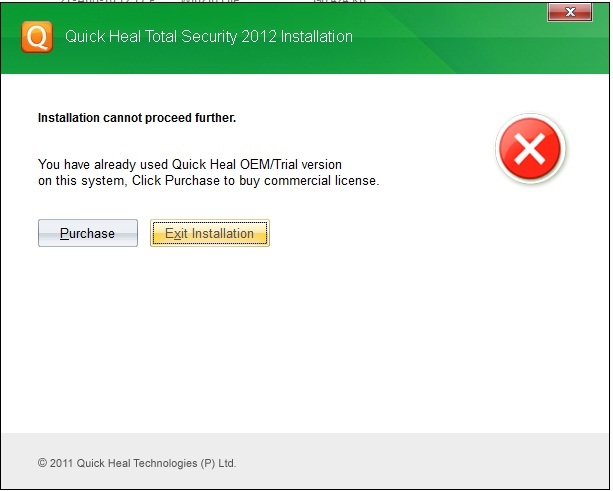 you will be prompted that you can't install this software as the grace period is over. But their is a way to overcome this issue. You may be knowing that when a software is been installed on any machine it adds some entries in the registry. we just need to remove them and then need to re-install antivirus. 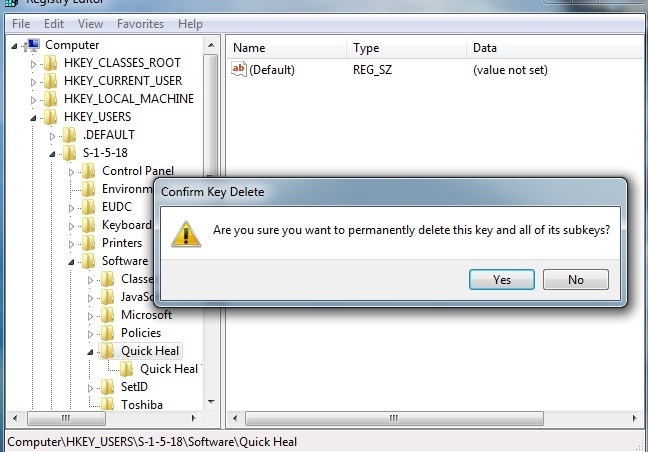 You may be thinking that if you have already uninstalled the AV then how come the keys are still in the registry... ???? Well this is because the AV companies wants to force you to purchase their products.. So they design the uninstaller in such a way that it leaves few entries in the registry. through which they can check weather you previously installed the AV of their company or not. 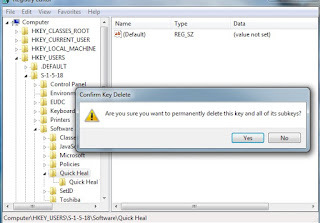 So let me explain you how to remove those entries..
Control Panel -> select Add or Remove Programs. Select Quick Heal Total Security from list given. Press Change/Remove button to remove Quick Heal from your PC. Select check mark for Remove report files. Restart your computer to completely remove quick heal. Go to Start -> Run, then press enter. Then it will Bring Registry editor in front of you. 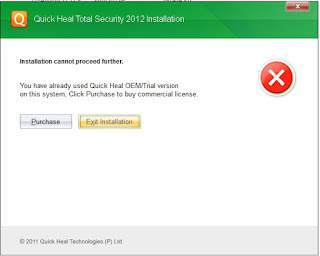 and delete Complete Quick Heal Key..
Download the newer version of Quick Heal and install it.